New Tata Tiago | New Name for Tata Zica. India’s popular passenger vehicle manufacturer, Tata Motors‘ brand new hatchback made its first public appearance at the Delhi Auto Expo 2016 which took place in New Delhi (Greater Noida) during early February. The new hatchback from Tata Motors was today renamed to TIAGO. The new naming was done through a crowd-sourced contest the #Fantastico Name Hunt. Tata Motors has earlier announced the intent to rename previously named Zica (whose name was derived from Zippy Car) as the right and responsible action following the hardships caused by the virus outbreak across many countries. Although there were hoardings and marketing materials in the name of Zica, Tata Motors made it clear that they will no longer be sticking to the name “ZICA”. Tata Motors also announced the winner of this campaign – Mr. Libi Thomas, who voted for the TIAGO name. The all new TIAGO from Tata Motors is designed specially for young car buyers, exudes cutting edge design, technology and driving dynamics to address a new customer segment for Tata Motors with new benchmarks and exciting product experience. Tata Motors would apply for regulatory registrations and is working towards the market launch by end of the march month. We are delighted with the response and support we have received from our well-wishers across the globe through the Fantastico Name Hunt campaign. We are proud to announce the new name – TIAGO for our next new hatchback. We have begun working towards launching this stylish car and are determined to place it in the market addressing all relevant needs of the target audience. 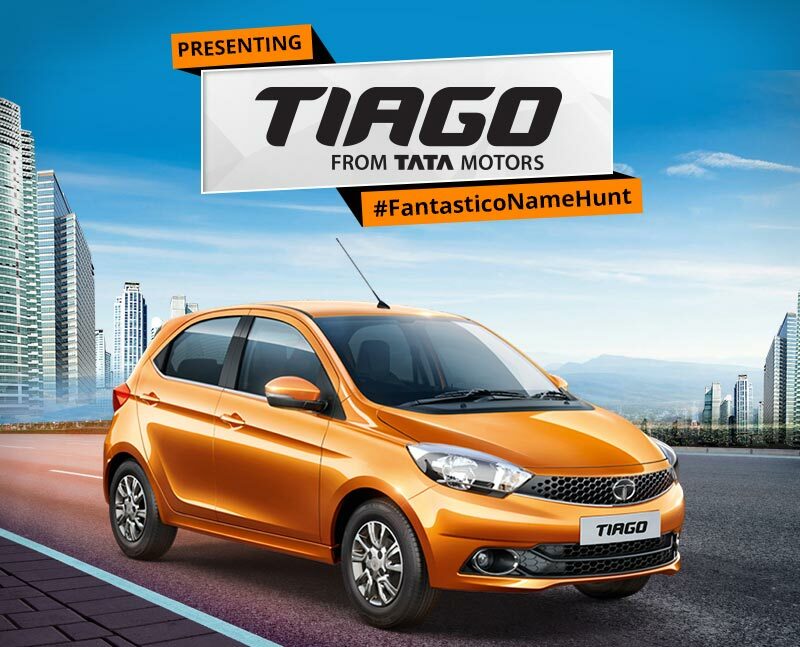 The #Fantastico Name Hunt commenced with a global crowd-sourcing initiative, inviting netizens, both within and outside India, to participate in the name hunt for the car. Within three days, 48 million enthusiasts engaged with the brand on social platforms with more than 37,000 car enthusiasts submitting their suggestions through social and mobile channels. TIAGO became the chosen name from the final three entries – Tiago, Civet and Adore that were opened up for the audience voting. The TIAGO will be the first car to showcase the new IMPACT design philosophy which emphasizes on immediate IMPACT at the first sight and a lasting IMPACT overtime. With inputs from the Pune, UK and Italy design studios, the Company is all set to roll-out a series of exciting, stylish cars, with new design credos. This car reaffirms this and reinforces the company’s future design direction.